“We believe that good business means doing good for the communities in which we work. 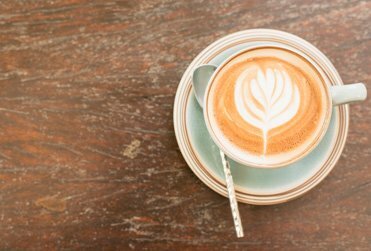 Through direct sourcing, fair trade, ethical practices and environmental stewardship, our dedication to the coffee farmers around the world will allow them to create a sustainable business that can be passed from one generation to the next. 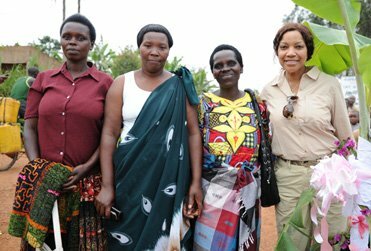 Founder and CEO, Grace Hightower De Niro was motivated and inspired by the Rwandan people’s courageous spirit to succeed. Rwanda is a place where 11 million individuals, most of them farmers, are working to build a sustainable future. These individuals inspired us to bring you a collection of coffees that highlight the extraordinary flavor characteristics found within Rwanda. 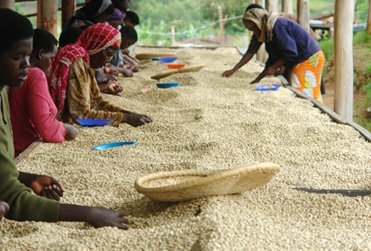 Their coffees represent the promise of a better future; one that harnesses the inner strength of the Rwandan people and the fertility of the land on which they live. Our success in working with the Rwandan people has encouraged us to continue our mission into additional farming communities throughout the coffee belt.